When was the last time you heard someone say something was free, its pretty rare! But when we start to discuss hot water there is an option that gives you the ability to take advantage of free energy to create hot water for nearly 8 months of the year (depending on your geographical location and aspect of the house). Solar that’s right using the energy from the sun today allows businesses and homes to create electricity for either credits into the grid or use around the home, but another option is using solar panels which have water pumped through them. By using solar water panels mounted to a roof either directly or via a pitched frame it typically willsoalr energy from the sun its FREE allow a domestic water to affectively operate during summer (and those other months where we get hot weather) without any further contribution via another energy source such as gas or electricity. Another bonus for businesses and large-scale set ups such as apartments, hotels and aged care facilities is that the solar energy will contribute significantly to pre-heating. Due to the large-scale volume of water properties such as these commercial and industrial properties consume its unrealistic to think the solar water heating will provide 100% of the buildings requirements but it certainly allows for a good portion of pre-heating meaning that natural gas or propane (in most cases) only will be then used to heat warm water which keeps gas consumption down and hence lowers the utilities bills. Like most things today nothing last forever and infrastructure such as these also need maintaining during their life. The average expected life span of solar water panels is between 15 to 20 years (depending on manufacturer and environmental conditions). During this period, you can expect to have repairs performed on items such as the hot and cold-water pressure relief valves, seals which join the panels together, cleaning of the panels to ensure they are performing at their optimal efficiency and anti-frost valves replaced in frost prone areas of the Adelaide Hills such as Stirling, Crafers, Aldgate, Bridgewater and Hahndorf to list a few of the more common locations of South Australia. If you don’t currently have solar water heating panels installed at your business or home let us help you with technical solutions based upon your requirements. On larger projects we have had up to 20 panels banked/manifolded together for pre-heating purposes and on smaller scale domestic homes we have had just one panel installed. Each case is different and that’s where our experience will be to your benefit, let’s work together on decreasing your energy bills. How Can I Fix A Leaking Hot Water Service? The first thing we ask our customer is what type of water heater do you own? Is it a storage tank or a small box which hangs on the wall? The likelihood of being able to fix a continuous flow hot water (small box on the wall) are greater then that of a storage tank. Regardless there is typically always a shut off valve which will temporarily stop the flow of water until a service technician can attend. 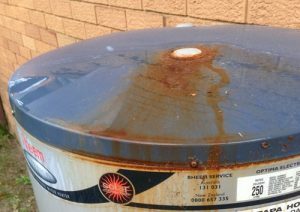 If a customer reports that a storage style water heater is leaking it is usually an older model potentially 10 plus years old and the cylinder has most likely developed corrosion internally and now started to leak. which is leaking. Items such as high temperature and cold-water relief valves can fail during the life of a hot water service and start to leak. These are quite easy to fix and are not going to cost you a second mortgage. It was approximately 8 years ago that the government introduced incentives to have a Heat Pump hot water service installed to homes and businesses. It is now that majority of these systems are coming out of there warranty periods and the tanks are starting burst open. This is leaving the home owners and business owners in a position where they now need to consider their options for another 8 years, replace with another heat pump or swap back to dedicated electric water heaters on J tariff. Well in most cases the choice is very clear, revert to the electric storage water heaters and ensure they are wired up on off peak electrical. The reason for this is that the heat pump water systems are extremely expensive to purchase without the huge government rebates any more. Unfortunately, many customers didn’t have a good experience with the overall heat pump operations, many complaining about excessive noise and un reliable refrigeration components located either on top or at the front bottom. What is the advantage to changing back to a conventional 250L electric hot water service? The tanks now come with an optional 10-year warranty, you only need a licensed plumber to service these during the heaters life (not a refrigeration mechanic and plumber), they are silent in operation and can be installed in discrete locations with zero ventilation such as laundry cabinets and under kitchen benches (sizes may vary). The range of manufacturers who produce these systems for the Adelaide Plumbing market is also far wider than previously experienced. Manufacturers such as Aqua MAX, Rinnai, Rheem, Vulcan, DUX Stiebel Eltron and Thermann all provide systems in various sizes with options on warranty periods, the choices are set up to suit most budgets. Probably the biggest bonus of all is that we carry these in stock at our warehouse giving you the ability to get a same day change over performed of your water heater across Adelaide. Ask about our options to pay for your hot water system on your credit card today! A hot water service which is not working correctly can contribute significantly to any home or businesses energy bills. It doesn’t matter what source of energy is being used whether it be electricity, gas or solar (sun) via panels on a roof. If components have not been installed correctly or over time have started to fail then the system itself can start to operate inadequately and could be using huge amounts of energy leading to very nasty surprises when your next Origin or AGL retailers bill arrives in post. For example, we recently attended a client’s home in Adelaide where they were questioning their excessive electricity bills. They are living in a 2 bedroom and 1 bathroom home in the heart of the city off Hutt Street. The hot water service being approximately 7 years of age and was a 125 litre DUX model. The latest electricity bill was $612 for the quarter just gone. The customer lives at the home by herself and is very mindful of electricity usage as the costs of energy consumption keep sky rocketing in South Australia. 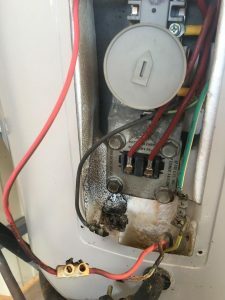 As you will see in the image on this page that the electrical components and the thermostat all appear to be in bad condition. When we performed some test on these parts with a multi meter it showed that the thermostat itself was not turning off, so the water heater was constantly heating 24/7. By doing this it had put excessive strain on the wiring also which could have resulted in other potential problems such as an electrical fire one day. To have this problem rectified we firstly replaced the wiring from the switch board to the water heater. This hot water service is controlled via 20-amp circuit breaker dedicated to feeding the power to the this DUX unit only. We then changed over the Robert Shaw thermostat and checked that it was turning on and off (brand new). Because this water heater is only 125 litres it is not on J tariff electricity (off peak) it runs off M tariff (peak electricity) so we were able to leave the hot water service under load ensuring the customer will continue to get hot water. If you suspect that your gas or electricity bills are too high it is important to have it checked out by a hot water specialist today before winter hits and your boiler starts to come under extreme pressures due to the changes in temperature. 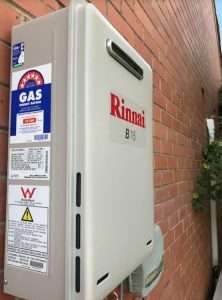 As Adelaide’s largest supplier and installer of hot water services in South Australia we get asked a lot of questions about making the right choice of water heater. Do you have a large enough gas pipe at the location of the new hot water service? The larger the unit the thirstier it will be for gas and in the colder months of the year is when the demand will be the highest, so although it may seem to cope during summer when winter comes you will see the performance drop off significantly. Your warranty will not cover faults relating to inadequate gas supply and these issues can be very expensive and not to mention dangerous. cold water and then are the pipes inside of the home large enough to disperse 27 litres per minute of hot water once produced? In many cases this answer is no when upgrading on an existing home. With these two vital points in mind you could be paying for a system that will never really work to its full capacity. Many plumbing companies will sell you the largest Bosch, Rheem or Rinnai continuous flow hot water service you can buy, but there are very few who will take the time to educate the customer on the correct unit for your home or business. 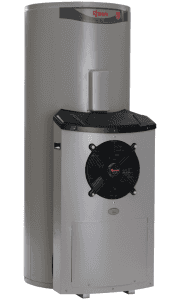 Don’t waste money on a big water heater for your home that you’re never going to see the real benefits of, speak with a hydraulic consultant today. A burn caused by hot water can be one of the most painful things you may ever experience and it’s something that can be avoided if you engage the services of a licensed hot water repairer in Adelaide. When we refer to scalding from hot water its often-young children or the elderly who are most susceptible. 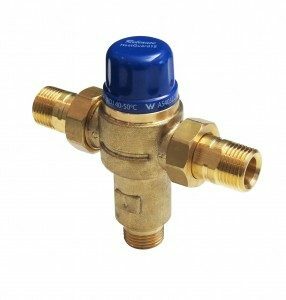 It can be avoided if the correct devices are installed and they are either a tempering valve or a thermostatic mixing valve. Both perform the same task except the thermostatic mixing valve is a higher performance device (more expensive and require annual testing) used typically in commercial practises ie: hospitals, dentists and aged care facilities. When a storage hot water service (gas, electric or solar) is installed it must be set up to heat the water to a temperature which will kill bacteria inside of the tank. The temperature from this tank can then be controlled before entering the home or premises by using a tempering valve or a thermostatic mixing valve. This device mixes the hot water with cold water and delivers a safer temperature to the taps inside of the property (typically around 50 degrees Celsius). It became compulsory to have these valves installed to all homes built after 1997 in Adelaide. Continuous flow or instantaneous water heaters today such as Bosch, Rinnai, Eternity, Dux, Vulcan, AquaMax and Rheem are factory pre-set to only deliver a specific temperature, whether that be 50, 55 or 60 degree’s Celsius so the need for tempering valves on these units is not required. Although not compulsory to have tempering valve installed in older properties a lot of people are opting for it as it protects young children from drastic accidents that can be avoided. When a tempering valve fails symptoms such as lack of flow from hot taps or no hot water at all are signs that your valve may need a service or replacing. When you think, hot water call the specialists in the field on free call 1800 MYHOTWATER – 1800 694 689. It’s been a long time coming to the Adelaide hot water market but finally we have a solution to heating hot water internally in a variety of sizes. Initially upon reading this article you may think internal hot water systems they have been around for ever? Correct but not continuous flow hot water systems which can be installed inside of sealed rooms (no natural ventilation internally required) and particularly units which come in a variety of different flow rates. Bosch has bought the European designed 4000s hot water services into Australia where there are currently over 5000 of these units installed. Western Australia has the largest number of these units currently in use with South Australia only a hand full of these hot water services installed. At Mayfair Plumbing and Gasfitting we have been fortunate to be involved with the supply and installation of these units to the Adelaide hot water market and also proudly offering the after sales servicing of these Bosch hot water units. What does this new product from Bosch bring to the plumbing market that other manufacturers are yet to introduce in Adelaide? 3 different capacity rating units starting off at 12L/min, with a mid-range unit producing 16L/min and the top of the range offering 20L/min. Sealed room installation’s. Via the coaxial fluing system, the Bosch 4000s hot water system breath and expel air through the same flue allowing a huge amount of flexibility when it comes to choosing an installation location. The ability to use a variety of compatible flue bends and extensions pieces to allow the hot water service to be installed far away from the point of termination to atmosphere. Slow start technology minimising energy and water consumption. Temperature controller pre wired allowing for a simple plug in connection for remote control of temperature throughout the home or business. Flue installation, it is vitally important that only the Bosch coaxial flue and components are used when setting up a new installation. The flue is sealed correctly to the hot water service and all components are joined neatly and square to each other. This is vitally important so that no flue gases can mix with the fresh air which the hot water service is using to fire the burner. The correct gas supply pressure and flow is provided to the Bosch 4000s. It’s important that not only is the static pressure tested at the time of commissioning but the working pressures are also tested. The working pressure should be checked using a digital manometer with the hot water service in full operation and other appliances in the home also working, a minimum gas pressure of 1.13kpa must be achieved. 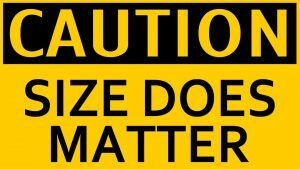 Like with all new products it takes time for public awareness to gain momentum and therefore a slow roll out of this product is commencing in Adelaide. Over time these new hot water systems will start appearing in more locations due to its versatility to be able to replace a bulky tank which is taking up precious space inside of a home or especially in a commercial kitchen. The energy star rating of this tankless hot water system is another talking point which is sure to appeal to many consumers, the slow start technology is something people will learn to adjust to and accept. If you would like to discuss your hot water options, please contact one of our friendly staff today.